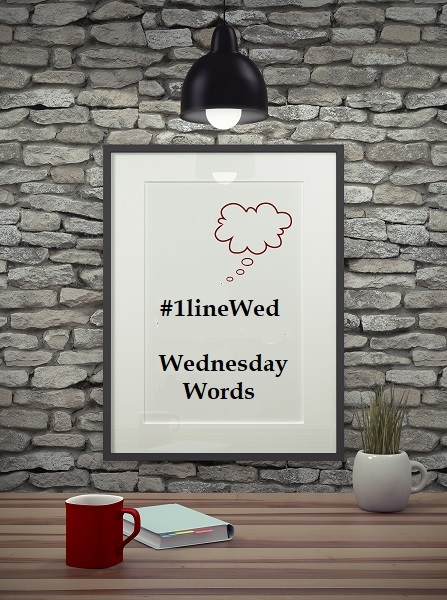 Another Wednesday, another theme for #1lineWed. With April 15th (Tax Day here in the States) looming, it’s fitting that the theme is **TAX/TAXES/TAXING** for today’s inspiration. To set things up, this is from the current WIP, Red Dirt Royalty #9, Cooper’s story and tentatively titled THE TYCOON’S TORNADO TWINS. Because…why not?!?! 😉 Anyway, our intrepid hero is performing rescues during the floods after a hurricane. The heroine, “Stormchaser Britt,” was doing the same when she got stuck and is rescued by said hero. Also, they rescue a huge black cat. If you like Harley the Newfoundland from REDEEMED BY COWGIRL, you will totally enjoy Lucifer. But I digress. After being up all night, Coop takes Britt to the Barron Exploration office in Beaumont, Texas where his RV is parked and where employees are camping out in trailers, campers, and tents. They set up makeshift showers and that’s where Britt has been–showering because getting dunked in swamp water? Uhm…yeah. Also, this is a first draft so ignore any typos or mistakes. Please and thank you. Ten minutes later, Britt peeked out from behind an opaque—thank goodness—shower curtain. A colorful beach towel hung on a hook next to the temporary wall and a stack of clothes, topped with a pair of flipflops sat atop a metal stool. She’d gotten into the shower with her clothes on and used the bar soap in the stall to clean them and herself. She’d also found shampoo and conditioner. Still exhausted but feeling better—amazing what being clean could do for a girl—she wrung out her clothes, dried off, and pulled on a way-too-large T-shirt and sweatpants. She rolled the pants several times at the waist even though she’d tied the drawstring as tight as it would go. Stepping out into the gray light of the cloudy morning, she noticed that more people were stirring. The few women smiled and nodded to her. A couple of men eyed her speculatively and just when she was about to ask about Cooper, she heard the distinctive yowl of a disgruntled cat. Following the sound, she found the black cat planted in front of the door of a fancy RV—the kind singing stars and rich people paid more than most folks paid for a house to travel around in. This one didn’t have a fancy paint job though. It was a metallic gray with a black stripe down the side. A red and white logo was plastered to the side but from her angle, she couldn’t read what it said. The cat yowled again. She looked down. They exchanged a look. They both yowled, Britt breaking into giggles while the cat continued to serenade the door. It popped open and Coop’s disgruntled face appeared. Cooper stepped back into the RV and Britt made a grand gesture, sweeping her hand and arm toward the door, indicating the cat should precede her. The cat stared at the two steps then turned to stare at her. She stared back. And broke first. So who’s already sent in their taxes? Who’s putting them off to the last minute? Who has taxing words to share?